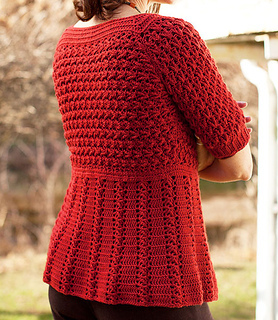 Worked in a mixture of textural stitches, this crocheted cardigan features a flattering empire waist and fastens with a single button. Closeup photos over at flickr to see the edging and such. Love free patterns? 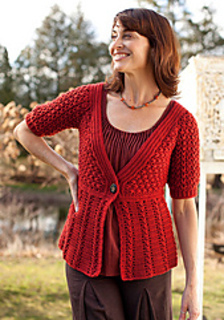 Sign up for Berroco’s weekly newsletter and you’ll have access to all of our free Friday patterns!